The Waltham Land Trust operates as a 501(c)(3) nonprofit and contributions are tax-deductible to the full extent of the law. 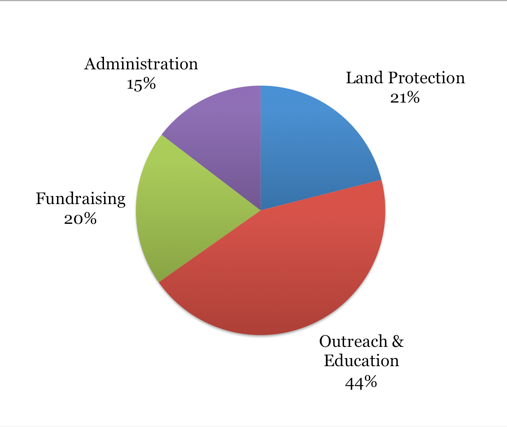 We use only 15% of our funds for administrative purposes. 65% is spent on conservation efforts and educational programming. Please read about the impact the Waltham Land Trust has had in preserving open space in Waltham.